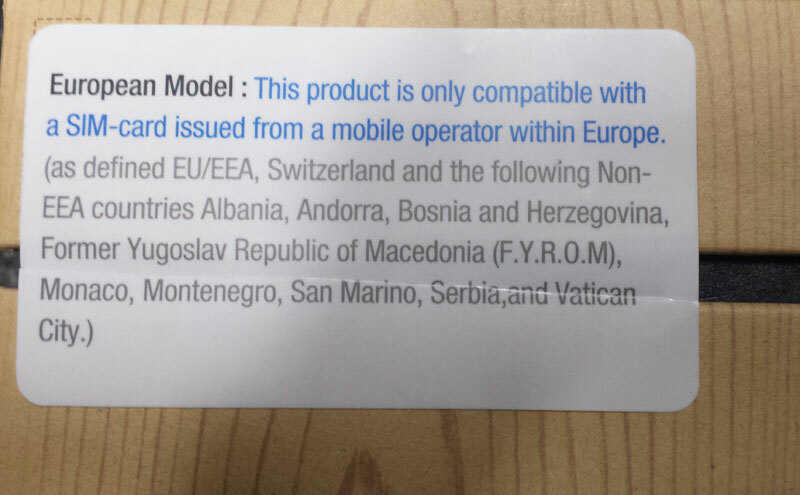 European Galaxy Note 3 won’t work with non-European SIM cards? Well, here’s an odd limitation of the Galaxy Note 3 that might spell trouble for those that buy the device in Europe but travel to other continents – according to retailer Clove UK, the Galaxy Note 3 launched in Europe (SM-N9005) is only compatible with SIM cards issued by European network operators and will not work with SIM cards outside Europe. The Note 3 box comes with a label that warns of this incompatibility, so it doesn’t look like there will be a way around it. As a result, Clove UK is only shipping orders within Europe. It’s quite stupid, to be honest – it essentially means that those travelling internationally won’t be able to use local SIM cards on their Note 3. Perhaps a solution will be found later on, but for now, better refrain from placing an order for Samsung’s latest phablet if you’re a frequent traveler. This is a very unfortunate situation. Is this a Samsung problem or a phone company problem? I have been loyal to Samsung for a number of years/devices. However, if I can’t travel with a phone, I think I will have to look at something different. 🙁 It won’t be apple who kills Samsung’s phone business. It will die from within. I’m not sure this is a SIM lock, more a compatibility issue. But yeah, I do hope it’s just locked instead of being outright compatible. Actually, that’s probably the case, I don’t think Samsung would make its flagship have such an issue. I’m with you, but there is quite a difference between “note” and “not”. Also your capitals only kills me I’m NOT joking. But then they restrict it to Europe only. That’s dumb.